FIRST CASINO PERSONNEL POST from "Jokersmild"! "The Cheat"
There is a cheat.... it's so simple...... And it's only been successfully used against me twice in my career. And it will never happen again. It's called a shot, and the worst offender of this move became my target, and the reason it's never going to happen again. It's extremely simple. Get the dealer to do something against standard procedure, then claim the game wasn't dealt properly to either attempt to regain a lost bet, or to get paid when you shouldn't. I've heard of players doing this on $100k hands, but I'm going to focus on one particular player who would literally take a shot every 10 minutes. The casino decided to put only the strongest and most experienced dealers on his game. Aaaaaaaand I got him for my whole shift a few times. Let's call him Ash, and you'll know why in a minute. He had three favorite moves to mess the dealer up. First, he would make verbal requests for hits. Policy states that a player must scratch the table with their cards to receive a hit, or tuck the cards under the bet to stand. We did not accept verbal requests because surveillance couldn't verify it. So a new dealer (or maybe a tired dealer who didn't know Ash) would give him a card from a verbal request, and if Ash didn't like the card he would say he never asked for a card and to call surveillance. The camera never saw a hit, so either the hand (that he would have lost) gets pushed or the hand plays out where he might have a chance to win. He never did this with me, but did it to a few co-workers. Shot number 2 was Ash placing his cards next to his bet, (not tucked under but very close) in hopes the dealer would expose the under card. When an unfavorable outcome would happen, Ash would claim he didnt stay, but set his cards down to think. Either the floor would kill the hand entirely, or back the cards up allowing Ash to have a chance at winning. This happened quite a few times with other dealers, and once with me. And it was the last shot he every had on my game. Which leads me to his last major shot. And this is purely evil, and a testament to this player's devotion to scamming. Ash was a very heavy smoker. Probably 4 packs from the start of my shift to the end (all comped by the casino). He would miss the ashtray regularly. 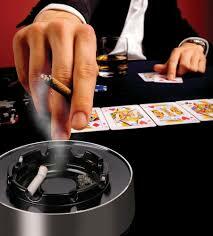 And with ashes on the table, he would use his cards to clean a spot of ash, making it look like he wanted a hit. When he was delivered a card he would claim that he didn't hit, and that he was cleaning up the the table. The floors would always ask the shift manager, and the shift manager always gave the player the shot. Then I showed up. I became his dealer. He could only play with me. I was Ash´s babysitter. He tried getting away with everything, and I shut him down every time. I would stand there for 5 minutes waiting for a signal. He would repeatedly ask for a hit and I would just look at him with a dead stare and say, "we do not accept verbal requests, sir." He would put his cards down, and I would wait for them to get tucked. We would both be locked to a stalemate until he made the proper move. I would clean up the ashes on the table before he did anything. I kept tissues on the side to clean everything up to make all the space by him clear. And then, on my last day at that casino, I was on his table. He's up to all his old tricks, with a new one. He's trying to "micro scratch." He's scratching the cards so slow and tiny that surveillance might not notice them moving. He's baiting me to give him a card. I didnt do it. And I still won't. I left that casino a long time ago, but I wonder if he still plays there, trying to mess up the dealer. MY COMMENT: Great first article to start my new CASINO PERSONNEL PARTICIPATION BLOG! I was quite entertained by this article and the Ash character. I really liked Ash's little ash scam! RICHARD MARCUS CASINO BLOG GETS NEW LIFE! BLOG NOW OPEN TO CASINO PERSONNEL GUEST POSTS! Today is the beginning of a new era in the history of this Poker and Casino Cheating/Advantage-Play Blog on richardmarcusbooks.com! I WANT SOME NEW BLOOD CONTRIBUTING TO THIS BLOG! So I have done something to change it...And I am proud of it! Beginning today, I am accepting guest posts from those of you who currently work or have worked in some direct capacity in the casino industry--mainly dealers, floor supervisors, pit managers, shift managers, surveillance and upper casino operations people and directors. The articles you can submit do not necessarily have to relate to cheating or advantage play. I am very interested in hearing and posting your work-related stories and experiences that you lived on the front lines of the green-felt jungles we've all worked in (Yes, I was once a casino dealer too!). The articles can be funny, entertaining, dead serious or all three! Since there will of course be sensitivity involved, you can choose whether to post your article attached to your real name or a pseudonym. The only thing I will edit is obvious grammar and punctuation mistakes. I realize that some grammatical errors are intended for effect, so if there is any doubt I will check with the writers before editing. I will also add my comment on each article posted. So let's get writing and sending 'em in! The first one has arrived and is being posted right now! Just How Friendly Should Dealers and Floor Staffs be with their Players at the Tables? Who's Controlling the Mini-Bac Game? I'll bet that 99% of you know that answer about as quickly as I wrote "99%". Obvious you're thinking, "Friendly but not too friendly, right? And you are right. Any casino whose staff is as cold as ice is going to quickly steer their players right to the next casino. And any casino whose staff is too friendly to their players opens itself up to many game-protection risks at their tables. But let's get into this analysis a little deeper. Suffice it to say that you don't want your staffs to be cold, nasty, robotic or mechanical while dealing and supervising their games. We need not spend any time analyzing that. But what are the real problems with your staff being too friendly and over-talkative with your players? Is it that they might meet up with them at a local bar and have a drink or two? You bet that's one problem. My 25-year casino-cheating career began just like that. I was dealing my mini-baccarat game and was being chatted up and entertained by a real cool dude, who two weeks after meeting up with me in a bar became my professional casino-cheating mentor. The first result of that was my performing a mini-baccarat false shuffle scam that took my casino for $20,000. But let's put my personal cheating career aside and let me give you two scenarios from my career as a game protection consultant/trainer, one of which risked game-protection problems while the other caused very serious game-protection problems. I did a two day multi-shift undercover investigation of a major Native American casino. I cruised by every table-game in the casino several times and stopped to observe those that needed to be observed. I found some disturbing instances of dealer and supervisor over-friendliness with their players. Not only were the dealers and supervisors both encouraging their players how and how much to bet, some were jumping up for joy with them when they won and cussing out and stomping their feet on the floor when they lost. In once instance, a blackjack dealer, after drawing out a five-card twenty-one to a table filled with splits and double-downs, actually slammed that last five-value card onto the table in disgust. It then fell off the table. I witnessed several incidents of this type. One dealer advised a roulette player, "Don't bet on zero! It hasn't come up all night." Another roulette dealer paused in mid-sweep to have a minute-long conversation with a player at the game who appeared to be a friend. Later on, in a meeting with upper management, I commented on these observations. They told me that it was casino policy for the dealers to be very friendly to their clientele at the tables. I quickly told them that that policy was inviting trouble. They at first demurred but then seemed to be in agreement. I have not been back to that casino since, so I don't know if they actually changed their "over-friendly" policy. I recently completed a two-casino training engagement in Canada. As I often do, I conduct an undercover investigation and evaluation of the casino before the training begins. In the first casino I noticed a stunning procedural violation of table-game protection. A group of high-rolling Asian baccarat players were jammed-up at the casino's number-one mini-baccarat game with hordes of family members and friends behind them. Each player had at least $1,000 bet on the layout. Checking out big action games is of course a part of my game-protection job. I stood and watched...and listened. There were two bets on Player, the rest of the table on Banker. The dealer dealt the cards. Then he suddenly did the unbelievable...or at least what I considered unbelievable. He turned over the Banker cards first! Rules state that the Player cards must be turned over first. I was so stunned I almost said something. Of course I never say anything during an undercover investigation no matter how flagrant the violation. I always discuss it with upper management at the appropriate time. So I held my tongue. I guessed that maybe the dealer made a mistake, although that seemed odd. He definitely was experienced. The players on the Player side did not seem to object to the Banker cards being exposed first. The dealer dealt out the hand, took the losers, paid the winners. On the very next hand it happened again. The dealer dealt the cards and turned over the Banker cards first. It didn't take but a few more hands for me to realize what was going on. The dealer was turning over the Banker cards first because that's what the Asian player with the biggest bet wanted! As I stood and watched in amazement, the dealer waited before each hand for the Asian player with the largest wager to command how he wanted the dealer to deal the game. And when the relief dealer appeared, nothing changed. 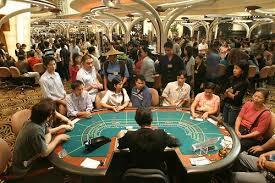 The high-rolling Asian baccarat players were actually controlling the deal of the game. And the casino had no problem with this gross violation of dealing and game-protection procedures. In order to accommodate their prized high rollers, most likely out of fear of losing these players if they refused to grant their wishes, they relinquished to them the very control of their baccarat game. When I came back to that mini-bac table on the next shift with a completely different staff--and a different group of Asian high-rollers, the same thing was going on. When the players wanted the Banker cards turned over first, the dealer obliged and the supervisor, glued to the game, did not object. On my way to the second casino, I thought incredulously of what I'd witnessed at the first. You guessed it! The same exact practice was occurring at the second casino. It all became very clear. Several casinos in this part of Canada, each afraid to lose high-rolling baccarat players to other casinos breaking the rules, broke the rules themselves in order to prevent a mass defection of their high-rolling baccarat players. So next came my meeting with upper management of both casinos. They explained what I thought they'd explain: That they had to bend the rules and compromise their tables because other nearby casinos were doing it. I wondered which was the first casino to do it. I also wondered what the Asian high rollers would do if all the casinos in that part of Canada refused to alter the deal of mini-baccarat. Would they get on a plane just to have the game dealt their way? I don't know the answer to that, but what I do know is this: If all the casinos in Canada, and the rest of the world for that matter, didn't break the rules for these high-rolling players, the Asians would not quit playing baccarat. I'd bet my life on that! So, the story told, where is the REAL danger of these compromised dealing and game-protection procedures? I explained it to upper management of both casinos: I said to them, "What happens when one of these Asian high rollers blows off lots of money and his business goes bad at the same time? What happens when he goes broke?" I know it seems like these Asian baccarat players have endless supplies of cash, but believe me, many of them don't! I'll tell you what could happen. That particular suddenly-broke Asian, who already is chummy with the dealer and speaks his native language, and who already has exercised some control over him as he has for a long time now dictated to that dealer how he wants him to deal the game, starts talking to that dealer about entering into a collusion partnership against the casino. Look, I am not saying that this will happen, but I am saying for sure that the possibility of it happening is much greater when the casino shows its weakness to a desperate high roller by having let him control the game for a long period of time. "Oh, by the way, did you hear what happened to Crockfords Casino in London and the Borgata Casino in Atlantic City when they altered their baccarat-dealing and game-protection procedures for Phil Ivey?" They shook their heads in comprehension. DO NOT ALTER PROPER DEALING OR GAME PROTECTION PROCEDURE FOR ANYONE! If you do you will eventually get stung.